Concern over the spread of nuclear weapons to new states often overshadows the issue of existing nuclear arsenals. Even when the latter does receive attention, it is usually devoted entirely to Russian and U.S. nuclear forces, which are estimated to account for 95 percent of the world’s nuclear weapons. A new report by the Women’s International League for Peace and Freedom’s (WILPF), entitled Assuring Destruction Forever: Nuclear Weapon Modernization around the World, is notable for bringing together prominent nuclear experts to analyze the stockpiles and future modernization plans of all nine nuclear weapon states – the United States, Russia, the United Kingdom, France, China, Israel, India, Pakistan, and North Korea. The multi-authored report also devotes three chapters to larger thematic issues like international law and political will. At the outset, the report presents some ominous data. For example, as of March 2012, there were approximately 19,500 nuclear weapons between the nuclear powers. Furthermore, the report also finds that all nine states have plans to modernize their arsenals. The subsequent case studies analyze each of these modernization plans. But India is hardly faultless itself. As M.V. 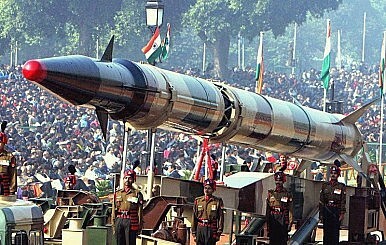 Ramana writes in his chapter on India, reliable estimates of New Delhi’s nuclear forces are hard to come by because “there is little information available from India’s government on most nuclear weapon matters.” New Delhi is hardly alone in shrouding its nuclear program in secrecy, he might have added. In any case, Ramana derives his numbers on India’s nuclear forces from the Bulletin of Atomic Scientists’ 2010 Nuclear Notebook, which estimated that India had between 80 and 100 assembled nuclear weapons, and approximately 50 deployed ones. One commonality between the nuclear weapon states is the prohibitive costs they face in maintaining and modernizing their arsenals. Already, the nuclear powers have spent a combined $100 billion on their programs. Furthermore, ADF estimates that they will spend an additional $1 trillion modernizing their nuclear arsenals over the next decade. Although analysts have long stressed the high cost and inherent difficulties countries face in trying to go nuclear, perhaps emphasizing the towering costs of staying nuclear might be a more effective means of dissuading potential proliferators. Amid tensions over Ukraine, Russia and the U.S. are conducting nuclear exercises within days of each other.